Last Tuesday we had our third Garden2Table event. 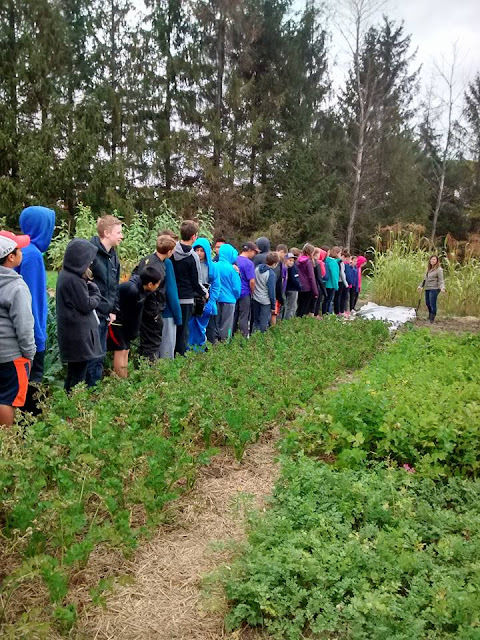 A second, seventh grade class from St. Ignatius visited the Guelph Urban Organic Farm and then ended the day in the on campus food lab where they cooked with the produce that was harvested. 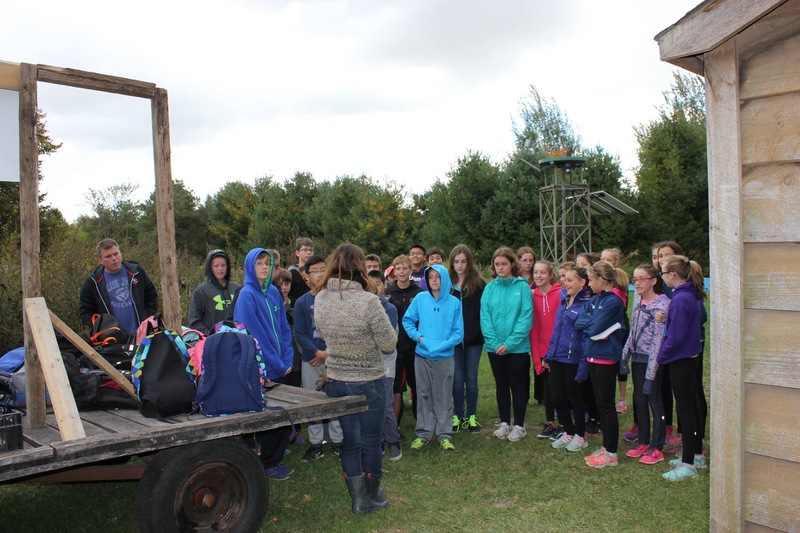 The students arrived bright and early in the morning and started the day off with a tour of the garden, led by the always wonderful and informative Danie. The class learned about what it means to be organic, the flow of water at the farm and composting. 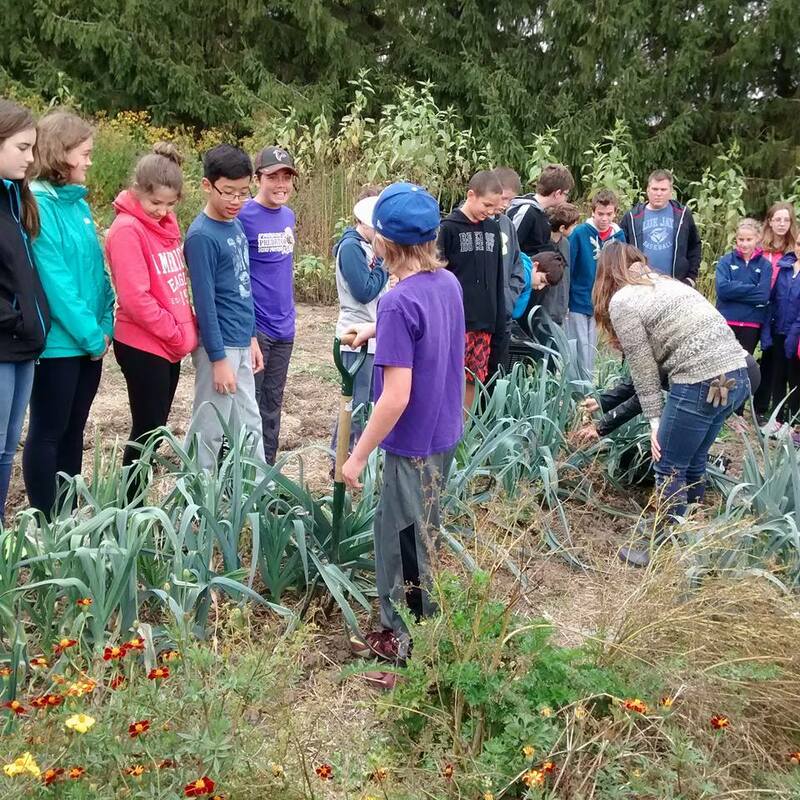 The class then had the chance to harvest some fresh leeks. Some students had never seen a leek before, so they were very excited! 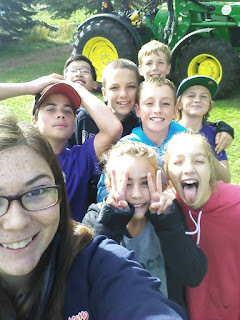 After harvesting leeks the students made their way to the potato patch where they got to get their hands dirty. Danie taught the class that when potatoes are exposed to sunlight they turn green and are no longer ideal to eat. 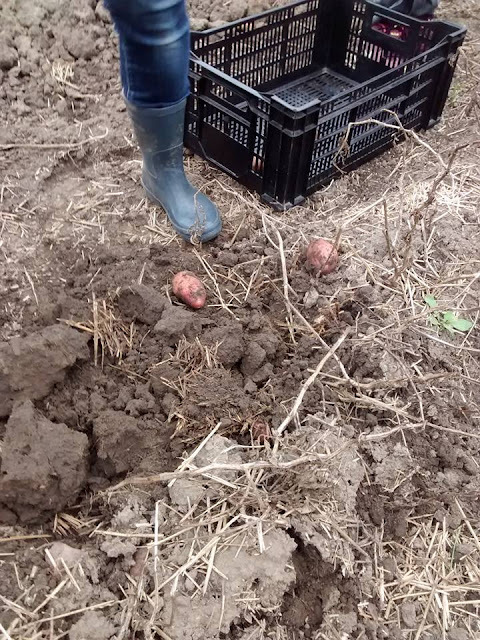 The class then got to use a pitch fork and work together to harvest red skinned potatoes. 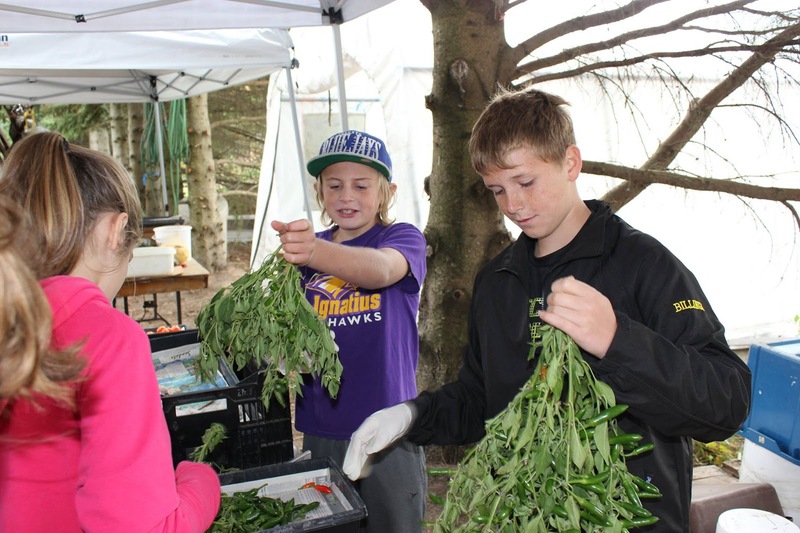 Next the class broke up into teams and worked on various farm tasks which included sorting hot peppers, cleaning garlic, harvesting herbs and grading tomatoes. 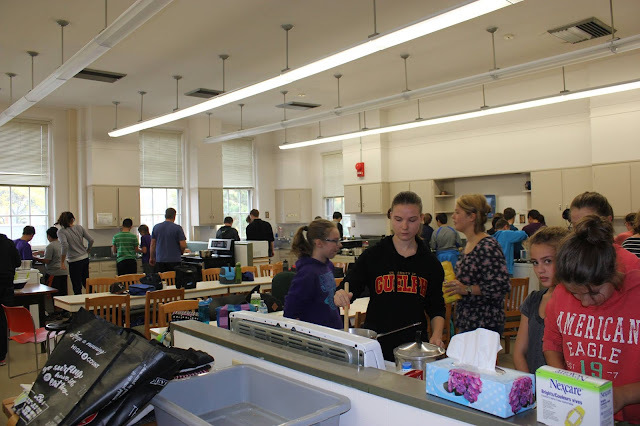 The grade seven students then made there way over to the food lab in MacDonald Institute which we used as a cooking facility to cook delicious food with the potatoes, leeks and herbs the students harvested early in the day. The class was split into nine groups, who were each paired with a volunteer to cook the recipes. Chef Geoff from Miijidaa, a newly opened restaurant in Guelph which showcases Canadian cuisine, was able to join us for the cooking session and help the students with their cooking skills. Chef Geoff showed the students which part of the leek was best to use in the soup and what part could be composted or used to make vegetable stock. 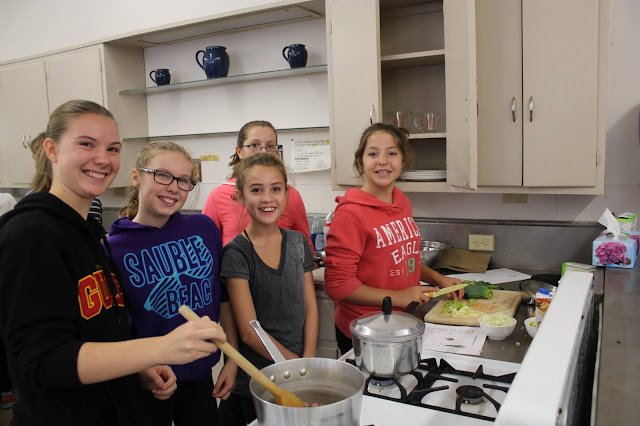 The students first made a potato, leek soup, which contained onion, celery, potatoes, leeks, bacon as well as herbs and spices. They then made a honey granola recipe which utilized honey from the Honey Bee Research Centre on campus. The students were able to take the granola home to share with their families and friends. The students taste tested their potato leek soup and everyone agreed it was very delicious. We finished the day with a discussion on the importance of knowing where your food comes from. The students also agreed that cooking with fresh ingredients wasn't too difficult and they enjoyed making the recipes. 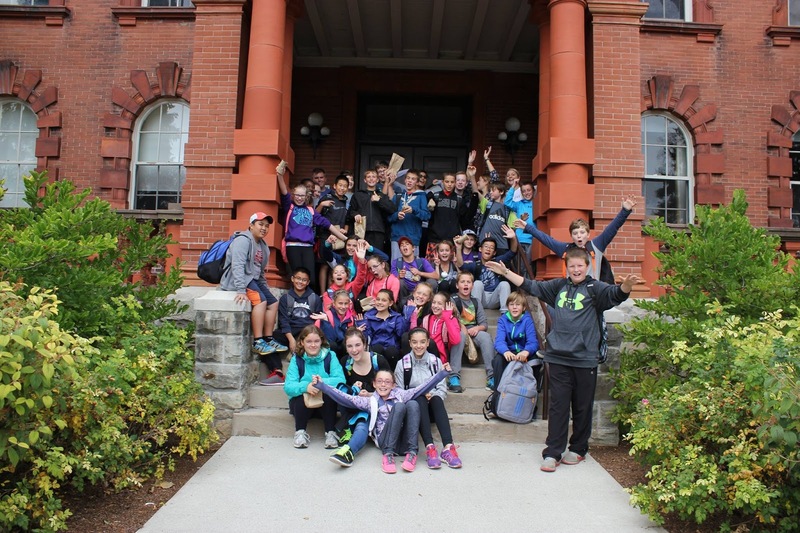 A group photo was taken before St.Ignatius returned to their school. A huge thank you is extended to all of the volunteers that assisted with the event, Chef Geoff, Danie and the garden and of course St.Ignatius for coming out to this Garden2Table event.